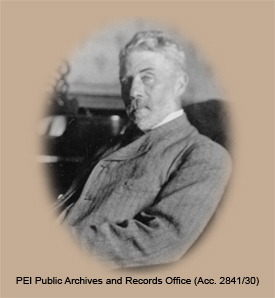 One of the most prolific architects to work in Prince Edward Island was William Critchlow Harris. We can see examples of his work across the Province in both urban and rural settings. His characteristic style is evident in his many private homes, commercial and public buildings, and of course, his famous churches. W.C. Harris was born at Bootle, near Liverpool, England on April 30, 1854 to William Critchlow and Sarah Harris. He was one of seven children. The family emigrated to Prince Edward Island when he was only two years old, but he would spend the majority of his life in the Maritimes and change the architectural landscape of many of its places. After attending Charlottetown's Prince of Wales College, the young Anglo-Welsh lad moved to Halifax, Nova Scotia, and began his apprenticeship with David Stirling, a Scotsman who had arrived in the city via Newfoundland. He would study with Stirling for five years from 1870-1875 and return to the Island. By 1877, Stirling had established an office in Charlottetown and a business partnership with Harris. Both were now working on major projects: Stirling on the new Falconwood asylum and the Kirk of St. James, and Harris on a series of large private homes in Charlottetown. Chief among these was Beaconsfield, an ornate Second Empire style home designed for shipbuilder, James Peake Jr. Today, this is the home of the PEI Museum and Heritage Foundation. 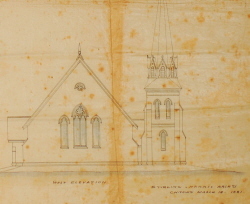 In 1880, Harris began working on the first of his many PEI churches. The Methodist Church at Tryon (now South Shore United Church) a National Historic Site was designed in his trademark High Victorian Gothic style. 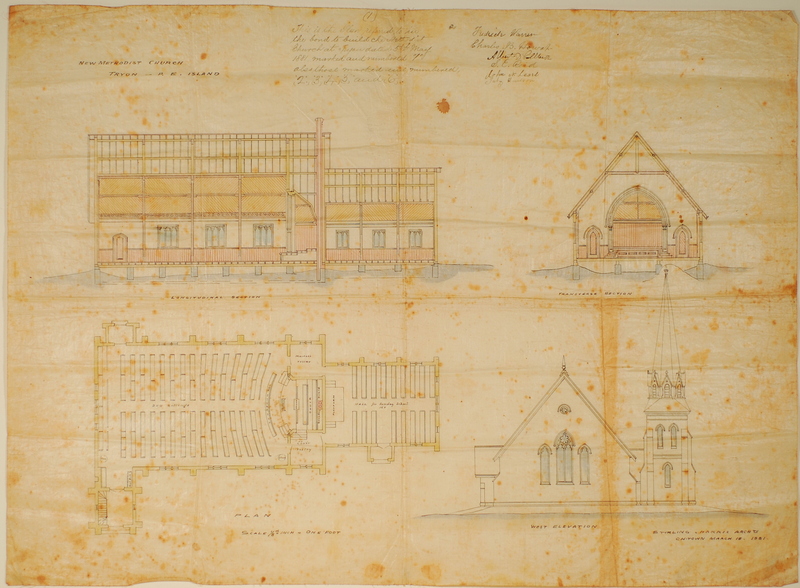 Surviving architectural plans reveal that it was to accommodate 300 in the nave and have an attached hall for Sunday School at the back capable of seating 160. Harris achieved a professional accolade at this time by becoming a member of the Royal Canadian Academy of Arts in 1881 when he was working on this project. The arrival of an economic recession in the Maritimes in the early 1880s, caused Harris to leave PEI in search of opportunity in Winnipeg, the capital of Manitoba. The Canadian Pacific Railway had just completed the line into Winnipeg in 1881 and the future of the city as the "gateway to the West" seemed assured. The city issued a competition to design a new city hall in June of 1883. Harris put forward a proposal, but it was rejected. The deepening recession made other work scarce and he ended up returning to the Maritimes in 1884. Fire, the enemy of many architects, gave Harris a break that year after it ravaged a commercial area of Charlottetown. He won the competition to construct both the Cameron and Newson Blocks which now make up part of what is known as Victoria Row. These were completed in 1885, the same year he designed his first Anglican Church in PEI, St. Mark's in Kensington. As an Anglican, Harris designed many houses of worship for that denomination throughout the Maritimes. He had already previously completed work for two Anglican Churches in Nova Scotia, St. James' at Herring Cove (1872) and St. James' at Mahone Bay (1884) when his brother was the rector there. His only church in New Brunswick, All Saints' at Clifton Royal (1883) was also commissioned at this time. Harris' first PEI Roman Catholic Church, St. Paul's in Sturgeon, was built in 1887-1888. This was the same year he completed another iconic building in King's County, the courthouse at Georgetown. It was also the same year he lost his mentor, David Stirling. The following year, he completed a memorial chapel for St. Peter's Cathedral in Charlottetown which remains perhaps the quintessential example of his work as a church architect. All Souls' Chapel, a National Historic Site, was designed in his favoured High Victorian Gothic style. His brother and famed painter, Robert Harris, completed the artwork of the interior. Harris remained on the Island until the death of his father in 1899, when he moved to Halifax and began working with William Horton. However, he maintained an office in the Apothecaries Hall building in Charlottetown, which he designed in 1901. He continued to design landmark churches for the Island including: Central Christian (1900) in Charlottetown, St. John the Evangelist Anglican (1901) in Crapaud, and St. Mary's Roman Catholic Church (1902) in Indian River. His private homes began to show tell-tale signs of his favourite design elements such as clipped gable roofs, bargeboards with drilled holes as decoration, and umbrages. In Nova Scotia, his talent continued to find expression in projects such as College Ste-Anne (1899) at Church Point, the Sir Frederick Borden House (1902) in Canning, and numerous other ecclesiastical buildings. Despite his prodigious accomplishments, Harris remained disappointed toward the end of his life by the fact that he had not designed a cathedral. He had competed unsuccessfully to win projects to build St. Dunstan's Roman Catholic Cathedral in Charlottetown in 1893 and All Saints' Anglican Cathedral in Halifax in 1906. However, perhaps what is most striking today is the ecumenical legacy of his work which is shared by many branches of the Christian church throughout the Maritimes. William C. Harris never married and passed away in Halifax on July 16, 1913. He rests in the St. Peter's Anglican Cemetery in Charlottetown. 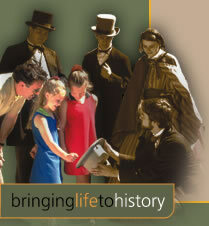 Link to the entry for William Critchlow Harris in the Dictionary of Canadian Biography. For further reading see: Robert C. Tuck's Gothic Dreams: The Life and Times of a Canadian Architect, Dundern Press and "William Harris and His Island Churches," The Island Magazine, No. 2, Spring/Summer 1977: 20-27. * Not yet listed or recognized.